Saturday, Oct. 1: Avon 36, SMSA/Univ. 6. Tackles: HW -- Foly 14; Marc Wildman 12; McElhone 9. HARTFORD, Dec. 12 – Three SMSA/University players earned All-Pequot Conference honors in voting done by league coaches. Wide receiver Rashod Cauley, defensive back Kiante Macon and linebacker Brian Knighton earned first team honors. Kayron Macon was named to the All-Pequot second team as a running back. Cauley caught a team-high 45 passes for 805 yards and 12 TDs. Defensively, he had two interceptions while on special teams, he returned 13 kickoffs for 420 yards. Like many players on the team, Kiante Macon played on both sides of the ball. He had a team-high three interceptions for 102 yards, returned eight kickoffs for 140 yards and was the No. 2 receiver on the team, catching 15 passes for 258 yards and 2 TDs. Knighton recovered two fumbles this season and had a sack for the Tigerhawks. Kayron Macon was the team’s leading rusher, gaining 709 yards and scoring 7 TDs on 98 carries. He also caught 9 passes for 109 yards and 1 TD. HARTFORD, Nov. 22 – The third quarter hasn’t been kind to the Sports Medicine Science Academy/University High football team in 2011. In several games, the Tigerhawks have seen the opposition take control in the third quarter. It was the same in Tuesday night’s season finale at Dillon Stadium. After the Tigerhawks cut a 15-point lead to four at halftime, the Enfield High football team scored 10 points in the third quarter to seize command and earn a 32-26 victory. Leading by four, the Raiders (6-4) extended the lead to 11 when Enfield QB Tony Romano threw his third TD pass of the evening – a 83-yard scoring strike to Hugh Lindo. Anthony Trotta added his second field goal of the game to push the lead to 14 points. The win snapped a four-game winning streak for the Tigerhawks, who end their first full season in the Pequot Conference at 4-6. Kayron Macon ran for a season-high 201 yards and 2 TDs on 20 carries to lead the Tigerhawks. Rashod Cauley scored two TDs. He had a 90-yard kickoff return in the second quarter and scored on a 5-yard pass from Kiante Macon. SIMSBURY, Nov. 17 – The Tigerhawks scored on their first four possessions of the second half to continue their second half surge with a 36-8 victory over Canton under the lights at Simsbury High on Thursday night. Sport Medicine Science Academy/University led just by eight points at halftime and actually had eight fewer offensive yards than Canton at the break. But the Tigerhawks (4-5) played well in the second half to capture the first-ever meeting between the two programs. The fourth straight win ties a school record set in 2005 when the Tigerhawks on the final four contests of the season. SMSA/University hosts Enfield on its season finale on Tuesday night at Dillon Stadium. Rashod Cauley caught a six passes for 169 yards and two TDs while QB Wilfredo Alicea completed 7-of-11 passes for 188 yards and two TDs. Alicea has thrown six touchdown passes and just one interception in the last four games. Kayron Macon ran for a pair of touchdowns and 133 yards on 13 carries. SMSA led 8-0 at halftime thanks to a 54-yard pass to Cauley from Alicea on the Tigerhawks’ first play of the game. But they couldn’t extend its lead. In the third quarter, SMSA took its opening possession and marched 65 yards on seven plays with Alicea getting over from the 1-yard line. A successful conversion run from Kiante Macon made it 16-0. The big play in the drive was a 26-yard completion to Cauley from Alicea and a 25-yard run from Caleb Martin. Canton (0-9) struck back quickly with a 56-yard touchdown pass from QB Eric Scott to senior Zach Powell. A successful two-point conversion cut the lead to 16-8. But Kiante Macon returned the kickoff 36 yards to the Canton 40-yard line and it took the Tigerhawks just four plays to score on a 33-yard TD reception to Cauley from Alicea for a 24-8 lead. Kayron Macon added a pair of touchdown runs (34, 33 yards) to extend the SMSA lead. SMSA/University played well defensively. They forced three turnovers with Cauley and Kiante Macon each getting interceptions. Patrick Richards recovered a fumble, stopping a drive when Canton drove to the Tigerhawk seven-yard line early in the game. A Cauley interception stopped another Canton drive on the SMSA 24-yard line in the second quarter. FALLS VILLAGE, Nov. 12 – Quarterback Wilfredo Alicea threw a 12-yard TD pass to Kayron Macon and scored on a one-yard run in the second quarter as the Tigerhawks won their third straight game with a 16-8 win over Housatonic/Wamogo. It was Alicea’s 11th TD pass of the season. This is SMSA's longest winning streak since winning a school-record four in a row to end the 2005 campaign. The Tigerhawk defense had an outstanding day, limiting a challenging Mountaineer offense to just one score. The Mountaineers use the rarely seen single wing formation to control the ball and dominate time of possession. But on this day, it was the Tigerhawk offense that controlled most of the game. For the first time this season, the Tigerhawks had a pair of runners race for over 100 yards on the ground. Kayron Machon ran for a 135 yards and a TD on 19 carries while Trenton Shelton earned 112 yards on 19 carries. HARTFORD, Nov. 5 -- Kiante Macon returned two interceptions for touchdowns to lead the Tigerhawks to their second straight win with a 44-8 victory over Windsor Locks/Suffield/East Granby at Dillon Stadium. Rashod Cauley also caught a pair of touchdown passes from Wilfredo Alicea. Macon returned interceptions of 82 and 96 yards for touchdowns. The Tigerhawks limted Windsor Locks to just 86 yards of offense. GRANBY, Oct. 29 – Rashod Cauley caught two touchdown passes and scored on an 85-yard kickoff return to lead Sport Science Medicine Academy/University High to a 42-15 win over Granby Saturday in the snow. Not only does the win snap a five-game losing streak for the Tigerhawks (1-5, 1-5) but it is the first win for SMSA/University in the Pequot Conference. Ezequiel Ortiz scored two touchdowns while QB Will Alicea threw a pair of touchdown passes. Kayron Macon scored on a six-yard run while Cauley scored on a 28-yard TD pass from Alicea and a 15-yard TD pass from Kiante Macon. Ortiz scored on a 25-yard run and a 12-yard TD pass from Alicea. Caleb Martin scored a two-point conversion pass from Alicea while Kiante Macon and Trenton Sheldon each scored on two-point conversion runs. “This was finally a game where we pulled all phases of the game together,” SMSA/University assistant coach Dante Boffi said. “The execution on offense was precise, our defense was aggressive and our special teams were explosive. There were no self-destructive mistakes as in previous losses." The snow began falling in the fourth quarter when the game had been long decided. Granby kickoff moved up to 11 a.m.
Due to the possibility of snow on Saturday, the kickoff for Saturday's Tigerhawk game in Granby has been moved up to 11 a.m.
STAFFORD, Oct. 21 – Stafford/East Windsor's Tim Artruc ran for two touchdowns and 174 yards on 18 carries to lead host Bulldogs to their first win of the season with a 32-22 victory over the Tigerhawks on Friday night. He also had18 tackles and a sack for Stafford (1-5). Teammate Matt Graham ran for 101 yards and a TD on 12 carries. He also had a 60-yard interception return for a TD. The Tigerhawks (0-5) scored a season-high 22 points and rushed for a season-high 209 yards behind an strong performance from their offensive line. Trenton Sheldon had a career-high 109 yards and a touchdown on 14 carries while teammate Kayron Macon also had a career-high 80 yards and one touchdown on the ground. SMSA/University QB Will Alicea threw his seventh TD pass of the season on a 40-yard scoring pass to Kiante Macon. HARTFORD, Oct. 15 – Coventry/Windham Tech ran on the back of Mike Fahey, who ran for a game-high 176 yards and three touchdowns in a 37-14 win over the Tigerhawks at Dillon Stadium on Saturday night. Fahey scored on touchdown runs of five and 26 yards in the first quarter as the visiting Patriots (5-0, 5-0 Pequot Uncas) built up a 16-0 lead. Tom Myers added a safety. However, Sports Medicine Science Academy/University cut the lead to 10 at halftime when Rashod Cauley scored on a 5 yard pass from Wilfredo Alicea with one second left in the quarter. The Tigerhawks looked sharp running their two-minute drill and scoring. The Patriots pulled away with a pair of touchdowns in the third quarter. SMSA/University (0-4, 0-4 Pequot Uncas) added a final score on a 22-yard TD reception to Cauley from Alicea, for his sixth TD pass of the season. Alicea completed 9-of-24 passes for 161 yards. Cauley caught four passes for 79 yards and 2 TDs. Cauley also had a 40-yard touchdown reception called back in the fourth quarter due to a Tigerhawk penalty. Travis Shelton ran for a team-high 81 yards on 15 carries. The Tigerhawks forced three turnovers with Caleb Martin getting his first interception of the season and Kayron Macon and Shawn Wright each recovering a fumble. HARTFORD, Oct. 8 – Things were a bit uncomfortable for Gilbert/Northwestern football team at halftime Saturday night at Dillon Stadium facing the Tigerhawks. Gilbert had coughed up the ball three times (two fumbles and an interception) and trailed by two points. It allowed Devon Molway, Tony Ortiz and Seth Dayton to get into the open field where they were able to break tackles and fuel scoring drives. In the second half, Molway (19-182) had 107 yards and scored 2 TDs while QBs John Lippincott and Nick Sullivan combined for 3 TD passes. Gilbert intercepted SMSA/University QB Will Alicea three times in the game. Ortiz had two interceptions, including a 60-yard interception return for a touchdown in the second quarter. He also recovered a fumble on a third quarter kickoff. SMSA/University got off to a fast start, bouncing the kickoff off a Yellowjacket defender and recovering it. On its first play, Alicea completed a 31-yard pass to Cauley, putting the ball on the Gilbert 11. SMSA scored on a fourth down play from the six on a TD pass from Alicea to Kiante Macon with 2:03 gone in the game for a 6-0 lead. They took a 14-12 lead late in the second quarter after a 10-play, 51-yard drive. Kayron Macon ran for 15 yards on a fake punt attempt to keep the scoring drive alive while Alicea made a key 16-yard pass to Sheldon on third down to keep the drive moving. Cauley pulled in the 12-yard reception and Alicea found Caleb Martin in the end zone for the two-point conversion pass. AVON, Oct. 1 – Avon QB Colin Moore was a one-man wrecking crew Saturday. Moore ran for a game-high 178 yards and two TDs on 26 carries. He also completed 3-of-5 passes for 65 yards and two touchdowns. And on defense, he intercepted a pair of passes, returning one 35 yards for a touchdown as Avon rolled to a 36-6 victory over SMSA/University. The Falcons kept plenty of pressure on QB Will Alicea, intercepting three passes and sacking him three times for a loss of 29 yards. Trenton Sheldon led the Tigerhawks with 65 yards rushing on 11 carries. Receiver Rashod Cauley pulled in four passes for 62 yards and returned a pair of kickoffs for 37 yards. Allen Andre intercepted a pass and returned it 40 yards for an apparent touchdown in the second quarter. But a holding call on the Tigerhawks reduced the return to nine yards. One of SMSA/University's more impressive drives came in the third quarter when the Tigerhawks drove from their 10-yard line to the Avon 36. Sheldon had 24 yards on the drive and Alicea completed a pair of passes to Cauley. They also had a nice drive in the second quarter, trailing 14-0. The Tigerhawks took over on their own 30 and drove down the field, sparked by a 36-yard reception down the right sideline from Alicea to Cauley to the Falcon 39-yard line. A 30-yard completion from Alicea to Kiante Macon put the ball on the Avon 10. But the drive ended on fourth and goal from the six when Avon's Mitch Gauthier batted down an Alicea pass in the end zone. Saturday game moved to 3 p.m. The Tigerhawks game on Saturday at Avon has been moved to 3 p.m. It is the first meeting between the two schools. In fact, the Tigerhawks will play nine of 10 teams on its schedule for the first time this season. HARTFORD, Sept. 26 – For two quarters, the Tigerhawks of Sport Medicine Science Academy/University High stood with visiting Ellington/Somers. The Tigerhawks trailed by just six points at halftime and limited a Purple Knight team that scored 56 points a week earlier to just 13 points. But the Tigerhawks made too many mistakes in the second and Ellington made them play. The Knights scored 36 points in the second half, fueled in part due to a blocked punt, four interceptions and one fumble recovery. HARTFORD, Sept. 26 – For the Tigerhawks, the long wait is over. Sport Medicine Sciency Academy/University will play its season opening game tonight beginning at 5 p.m. at historic Dillon Stadium against Ellington/Somers (1-0). SMSA/University is the final team in the state to play its opening game. The Tigerhawks had a bye in week 1 and the had to wait after rain postponed Friday night's contest. HARTFORD, Sept. 18 – For the Tigerhawks, there is light at the end of the tunnel. The high school football season opened this past weekend in Connecticut. But not for Sport Medicine Science Academy/University High School who got a bye in week 1 of the 2011 campaign. The Tigerhawks also had their final scrimmage on Sept. 10 against Coginchaug get cancelled. But the season begins on Friday night at Dillon Stadium when SMSA/University hosts Ellington/Somers (1-0) at 6:30 p.m. The Tigerhawks become full fledged members of the Pequot Conference’s Uncas Division this year. A year ago, they played an independent schedule against Pequot Conference schools from the Uncas and Sassacus Divisions. SMSA/University graduated six seniors from last year’s team that went 4-6, including quarterback Johnny Mojica, who threw for 859 yards and 14 TD passes. The Tigerhawks have a solid core of seniors including senior receiver Rashod Cauley, who caught 29 passes for 499 yards and 13 TDs, including a school-record six TDs in the season finale against Bulkeley. Senior back Kiante Macon and junior back Kayron Macon (101-400, 2 TDs) return along with senior tight end Caleb Martin. Senior center Kenneth Prigodich, who has been in the starting lineup since his freshman year, returns to anchor the offensive line. Sophomore Wilfred Alicea is set to start at quarterback. Most players will play on both sides of the ball including Martin and Brian Leighton at linebacker along with Cauley and Kiante Macon at safety. “We’re a speed team,” SMSA/University assistant coach Dante Boffi said. “We have good team speed. We’re not the biggest team on the block. But they have a great work ethic and they want to get better every week. The Tigerhawks are led by head coach Graham Martin, a long-time veteran coach in Hartford. Martin coached at Bulkeley for 23 years and led them to the Class LL championship game in 1991. He coached in Canton for two years (2006-07) and took over the Tigerhawks last year. Of note: 2010 was the first year of the co-op with University High of Science and Engineering. … With the exception of a game with Housatonic/Wamogo, the Tigerhawks will be playing each team for the first time. … The Tigerhawks scored 196 points a year ago – its second highest output in the history of the program. SMSA scored 218 in its first year, 1999. 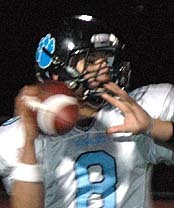 In week one, Ellington scored five touchdowns in the first quarter in a 53-16 win over Canton. ... Coventry/Windham Tech forced seven turnovers in a 28-0 win over Gilbert. ... Leading by just seven going in the fourth quarter, Avon scored 16 unanswered points to beat Stafford, 30-7. ... Enfield QB Tony Romano completed 7-of-9 passes for 171 yards and 3 TDs to lead the Raiders past host Granby. A Vanderbilt University coach credits his high school coach, Graham Martin, for his encouragement and mentoring along with being a strong role model when he was a student at Bulkeley High in Hartford. Sean Spencer, the defensive line coach at Vanderbilt, told the Hartford Courant’s Paul Doyle that Martin was a key in his life. I always wanted to be involved in education because Graham Martin had a huge influence on me,” Spencer told Doyle. “I grew up without a father and he was always that father figure, that role model for me.” Martin coached at Bulkeley from 1981-2003. He coached for two years in Canton , helping to establish a program that had sat dormant for over 40 years before coming to Sport and Medical Science Academy two years ago. HARTFORD, Sept. 7 – The Sport and Medicine Science Academy/University High football team is preparing for its second season together as a co-op program under head coach Graham Martin. For just the fifth season in its brief 13-year history, the Tigerhawks will have an opportunity to win a league championship. SMSA/University will become a full member in the Pequot Conference’s Uncas Division this fall and Martin hopes that the Tigerhawks can earn the second winning season in the program’s history. SMSA went 5-4 in 2005. 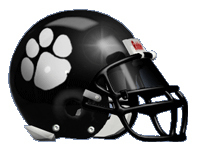 It is a challenging division with four-time defending Uncas champion Avon, who played in the Class M playoffs in 2008 and 2009, Gilbert/Northwestern, who qualified for the Class M playoffs in 2010, Enfield, Ellington/Somers and Coventry/Windham Tech. Seven of the Tigerhawks’ 10 games will be played at night, including six games at historic Dillon Stadium where SMSA/University will host Ellington/Somers, Gilbert/Northwestern, Coventry/Windham Tech, Windsor Locks/Suffield, Canton and Enfield. SMSA/University lost only six seniors, including QB Johnny Mojica, from last year’s team that went 4-6. The Tigerhawks return 11 seniors, including record-breaking receiver Rashod Cauley, who tied a state record with six TD receptions in a win over Bulkeley last November. SMSA/University scored on its first four possessions of the second half to tie a school record with its fourth straight victory in a 36-8 win over Canton at Simsbury High Thursday night.